Kiel, 14.04.2016 – MINT Software Systems is announcing a service agreement with Icelandair for the delivery of the MINT Training and Resource Management System (MINT TRMS) for the management of their flight crew and technical training. Icelandair training managers have carefully evaluated the market of available software products for the administration of the new Icelandair Training and Simulator Center, which the airline opened in late 2015. After some months of assessment and in-depth testing, Icelandair has now selected the unrivaled, state-of-the-art MINT Training and Resource Management System MINT TRMS as training platform for their brand new training center. The agreement includes the delivery of MINT TRMS and the MINT Learning Management System (LMS) component, that allows the “anytime, anywhere” access to learning content and system administration. It simplifies and optimizes the management of instructor allocation (roster synchronization), classroom distribution, planning of flight simulators sessions (in‐ house and 3rd party services), student allocation (with full roster synchronization) and the planning of other training assets, such as the airline’s first own state-of-the-art B757 Full Flight Simulator and the new, fully-featured emergency training mockup for cabin crew emergency training. “With MINT TRMS we have found a comprehensive and fully integrated end-to-end solution that provides the best possible answer to all of our requirements.” explains Guðni Ingólfsson, Director Crew Training at Icelandair. “The proven solution will effectively support the ongoing growth of our organization and we will particularly benefit of the upcoming unique standard integration with Sabre® AirCentreTM Crew Control, which will provide significant benefits to the crew planner through improved crew qualification management and data consistency”, he adds. 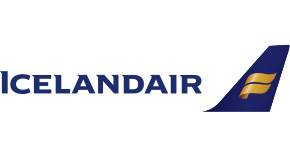 The agreement with Icelandair comprises the complete MINT TRMS solution for training scheduling, record management, e-grading, e-learning, in-depth reporting and analysis capabilities, as well the integration to Sabre® AirCentreTM Crew Control.